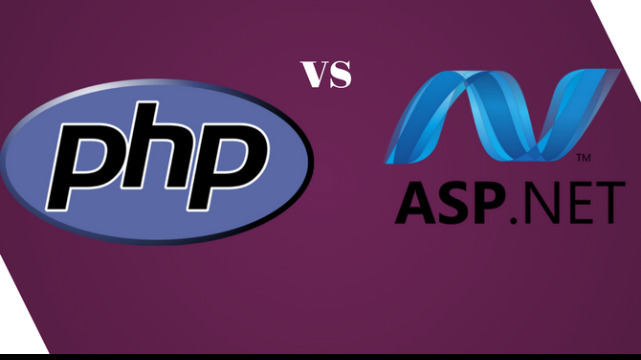 There are thousands of articles available about whether ASP.NET or PHP is better language platform; But this can be based on many different functionalities of any one programming language such as scalability, performance, speed, cost & support and time to deployment. Review all the following functionalities and take the right decision. 1. Scalability: In both ASP.Net and PHP platform, the scalability and maintenance of any web application are depending on best programming practices, programmer’s overall experience, programming framework, and programming guidelines as well as standards. 2. Performance and Speed: Efficient and good performance, as well as speed, must be needed as any of programming language has to execute various tasks at a time such as Google or Yahoo. The overall performance also depends on optimizations of the code of programmers and knowledge of programmer for writing paper & optimizing SQL queries. 3. Cost: MySQL server, PostgreSQL server, PHP, Linux OS and Apache server are free and their upgrades are also free. Additionally, there will be no extra licensing charge to have any another hot standby server as the backup. It’s also possible to run multiple servers for server clustering or load balancing. Whereas ASP.Net and IIS are free versions if you purchase Windows OS. You will also charge substantial licensing cost for Microsoft SQL Server and Microsoft Windows Server. 4. Time to Deploy: In compared to PHP language, ASP.NET uses a larger amount of code to complete complicated features and functionalities which add extra time to the development process. PHP doesn’t require any additional steps to check changes that are done by the user, but conversely, ASP.NET has to be compiled every time the code is changed. 5. Support and Resources: LAMP (Linux, Apache, MySQL and PHP) is open source with friendly & dedicated developers who make some improvements & updates and support for the platform. But ASP.NET depends upon an available number of developers at Microsoft to make more improvements and updates. 6. Platform Independency: PHP platform is independent and can run on any platform such as Mac OS X, Linux, Unix, and Windows. While ASP.NET is specifically designed to run only on Windows platform. 7. Editors and Tools: PHP programming language is editor independent and gives developers access to a wide-ranging number of editors. All the ASP.NET programmers have to be depended on Microsoft Visual Studio editor in order to create.NET applications. 8. Usability and Ease of Deployment: LAMP comes with some unique and improved versions of famous Linux distributions that include CentOS, Ubuntu, openSUSE, Red Hat and Fedora which offer ease of installation and efficient GUI interface. Whereas Microsoft Server comes with extremely complicated and un-needed features because of that it has been going backward with usability. Still, have any doubt? Need more suggestions about Zengo PHP Development and Zengo ASP.Net Development. You can talk to our technology experts.